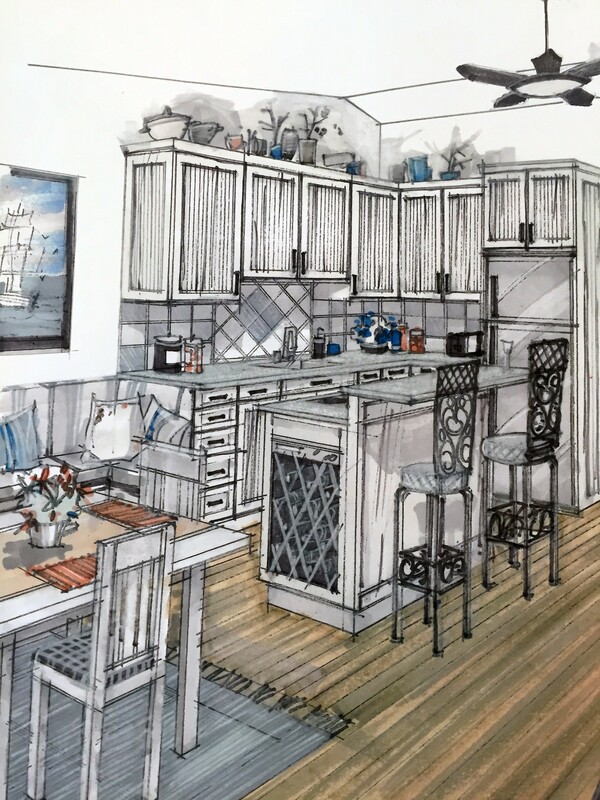 This modern lodge house plan is designed to share space and maximize livability. 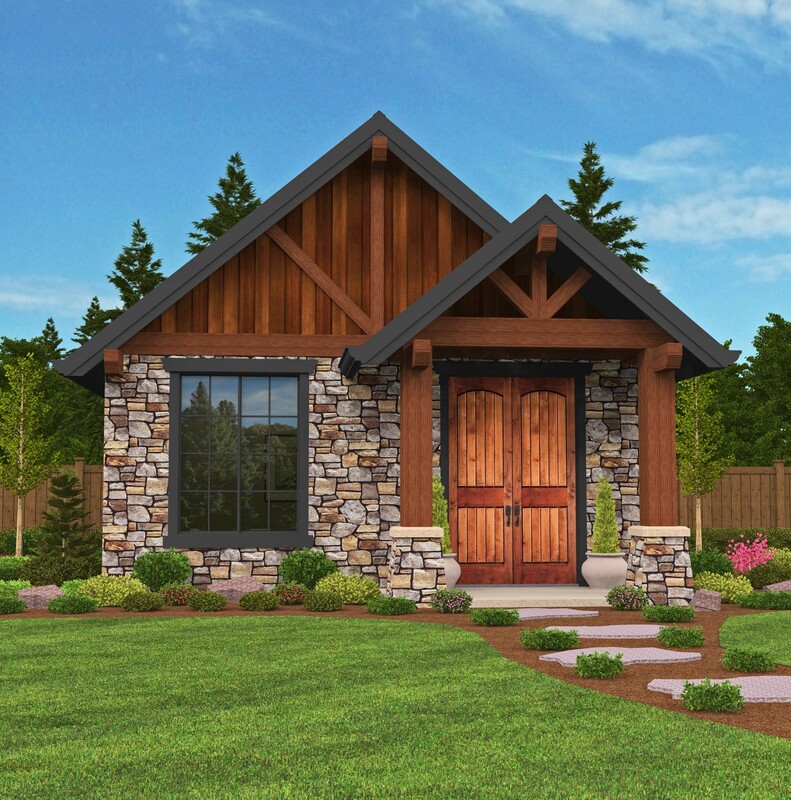 A wonder in a small package, this house plan is just the right size for a couple or single person. 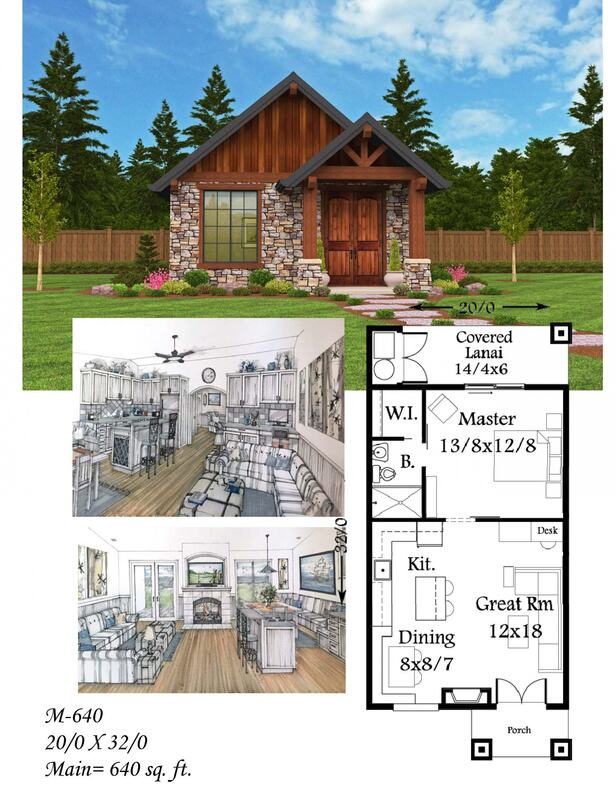 Not to mention the high style timber framed exterior, and perfect small home floor plan. 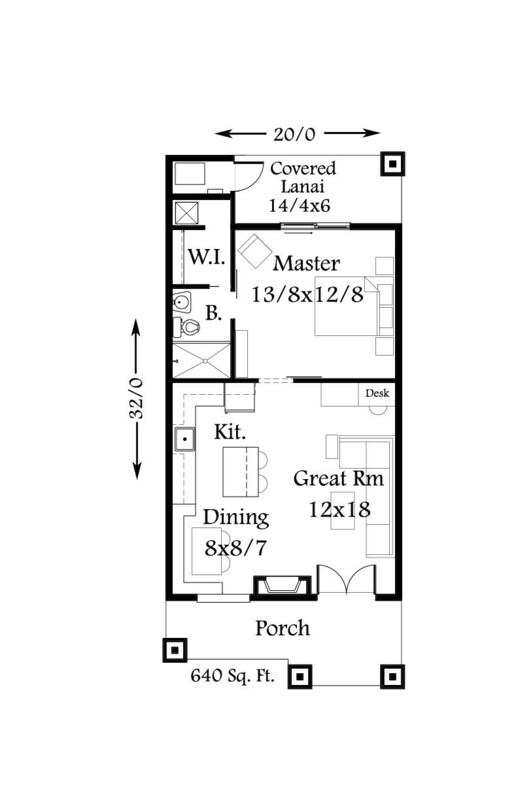 Utilities are located out back off the covered lanai and adjacent to the generous master suite with walk in closet. 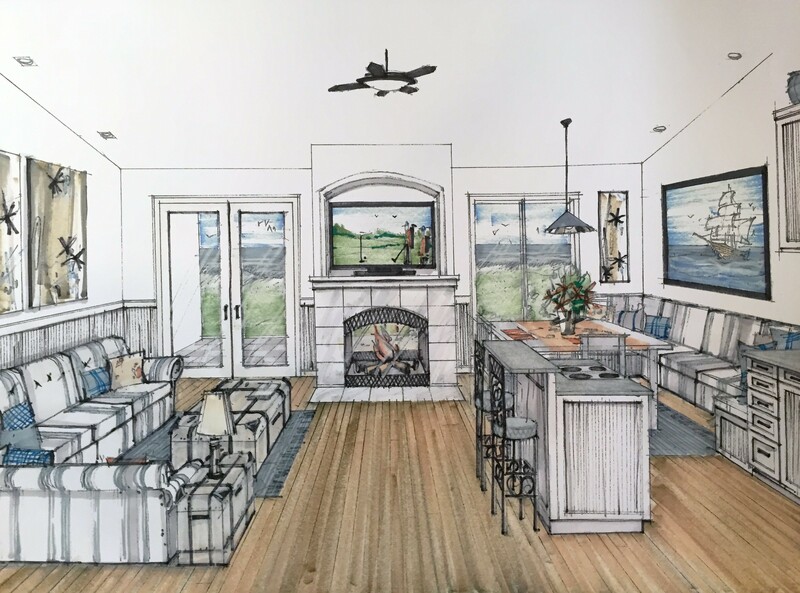 The main great room space works well with an incorporated desk area, Fireplace and TV.. 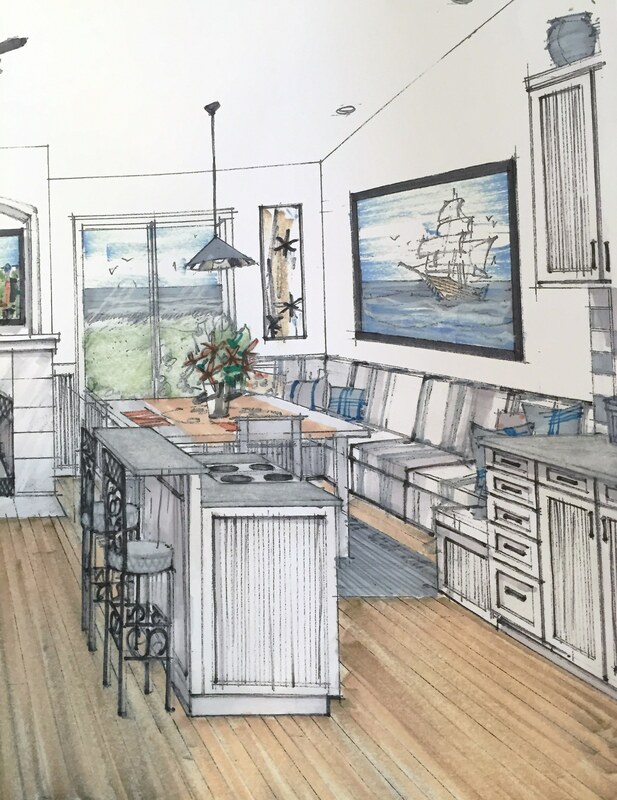 The kitchen is an eat-in affair with island seating and serving, as well as a built in dining nook. 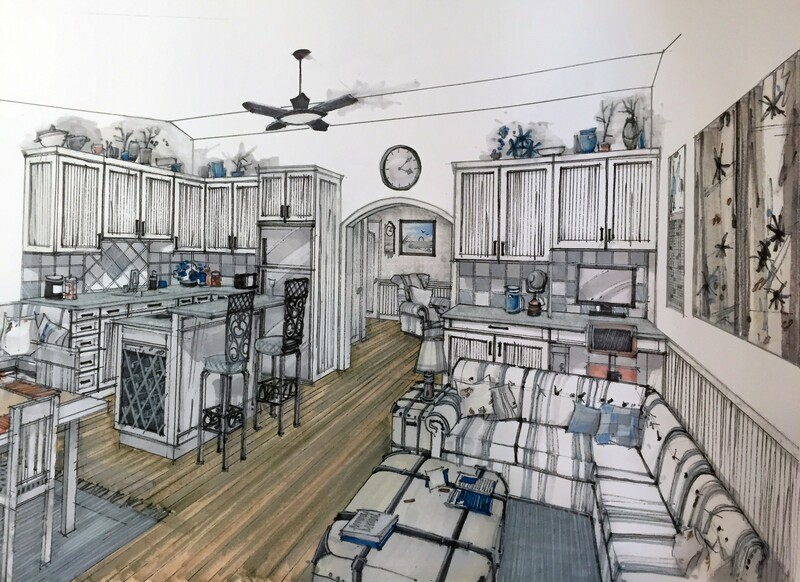 We have loved producing this small house plan and we are sure you will enjoy it.